Napoleon Hill once said: “Our minds become magnetized with the dominating thoughts we hold in our minds and these magnets attract to us the forces, the people, the circumstances of life which harmonize with the nature of our dominating thoughts”. When we think a little thoughts of something that we want, through the Law of Attraction, that thoughts grows larger and larger, and more and more powerful”. How happy I was when I came to realized that I am a living magnet. This principle is such a universal principles of life, that whether you know it or not it is affecting your life in a positive or negative way. It’s essential to have a bible based perspective on this principles as well as a very clear understanding of what the law is and how it affects your life. You attract to your life whatever you give your attention, energy and focus to, whether positive or negative. Think of time in your life when you focused on something, only to have it come to pass. That which like unto itself is drawn. What you think about becomes reality. Like attract like. What you radiate outward in your thoughts, feelings, mental pictures and words, you attract into your life. Your mind is a magnet and attract into your life circumstances and situation that are in harmony with your dominant thought. Think about the last three new relationships that have come into your life. What do you think that attracted those people into your life. The principles of the law of attraction is actually rooted firmly in the teaching of the bible. A man called Job in the scripture said: “What I feared has come upon me. 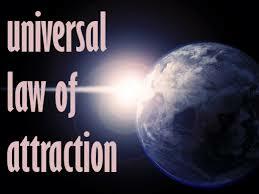 What I dreaded has happened to me” The law of attraction as a principle is irrefutable. Whatever is going on in your mind, you are attracting into your life. Are you positive, optimistic, and expect success? Or you are negative, pessimistic and lack confidence for success? Just remember, thoughts become things. This entry was posted in success and tagged Dream, Fulfillment, Growth, Habit, Insight, Journey, Life Changing, motivation, Passion, Persistence, Personal, Principles, Spiritual, success, Successful Life, Talent, Wisdom.